"Real Weddings", "Reception Decor Products"
This was another one of my favorites from 2012! It didn't seem like work, as I had lots of fun creating this aqua and red carnival themed wedding invitation and stationery. 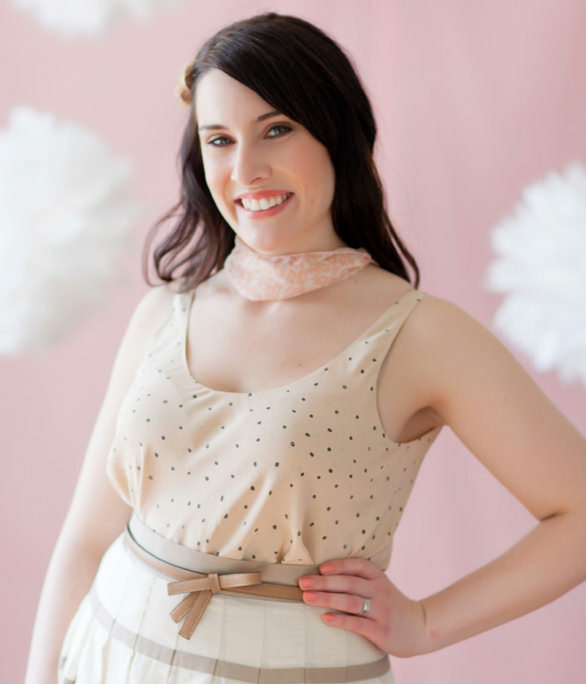 The bride was so detailed and organized it made my job easy to bring her vision to life. I was extremely excited when I saw the wedding day photos by Eternal Reflections Photography, who even took the time to capture our invitation suite in a variety of beautiful compostions. Enjoy the gorgeous photos of this vibrant and fun wedding! It was a pleasure to be involved in Shannon & Nathan's wedding as I know Shannon personally. The pink, gold, and ivory color combination the couple chose made for a lovely invitation suite with delicate peony flowers contrasted with a metallic gold envelope and striped cigar band. The reception stationery had some unique elements like a multi-framed seating chart and personalized thank you cards to guests, which were placed on each napkin. This turned out to be a beautiful wedding for such a special couple. Congrats Shannon & Nathan! With the snow upon us, I thought it would be a good time to share this dreamy vintage winter wedding from February of this year. This was one of my favourite invitation suites to date, with a custom illustration created to perfectly suite the couple and the rest of their wedding decor. Tara & Brett both have careers in environmental science and decided to incorporate their love of nature and animals into every aspect of the wedding. I knew about some of the details of the wedding day, but was blown away when I seen the wedding photos captured by Diamond Cake Photography. The planning and design was executed beautifully by Jennifer Bergman Weddings. This wedding was featured on Style Me Pretty Canada and you can view the complete wedding gallery here. "Invitations", "Real Weddings", "Reception Decor Products"
When I first saw these photos I was taken aback by all the breathtaking details, especially the flawless bride! Kudos to Jennifer Bergman Weddings for designing the timeless and classic decor as well as Sharon Litchfield Photography for capturing these absolutely beautiful images. You must check out the full gallery of images on Sharon's blog. Thank you to Hala & Sean for letting me be a part of your special day by designing your wedding invitations and stationery. Today we are sharing stationery photos from Melissa and Mikes June 2011 wedding captured by JDS Photography. A modern barn door invite with graphic damask ornaments was created in classic ivory and black with a hint of olive green. The invitation artwork was seamlessly carried through into their reception stationery including a custom hard cover guest book (which they included personal photos and unique questions for the guests), table numbers, seating chart, and a large menu sign for all the guests to view as they entered the reception venue. This gorgeous bride and groom were featured on the Weddings In Alberta website and you can view the entire gallery of their beautiful wedding here! This couple was an absolute pleasure to work with. Morgan is such an endearing man who truly cared about the details of this wedding as much as his bride! Below are some gorgeous detail shots of my stationery captured by the wonderfully talented Kirstie of Orange Girl Photography. I especially love how this couple used the monogram I designed on their cupcakes! This beautiful wedding was also featured on Style Me Pretty Canada and you can see the full gallery of stunning images by clicking here! The approaching long weekend will be my first wedding anniversary! Saying that, I thought there was no better time to finally share the very special wedding photos captured by JDS Photography. My husband and I had such a wonderful day and looking back we both agree we wouldn't have changed a thing! 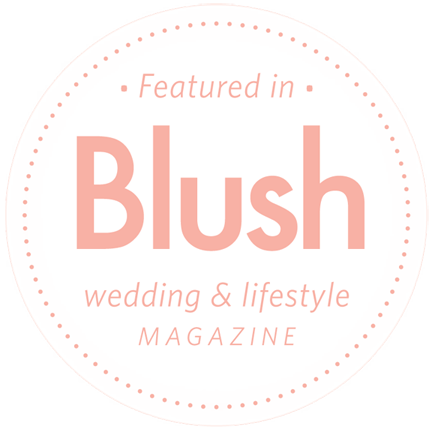 We were lucky enough to be featured on the main page of the ultimate wedding blog, Style Me Pretty. 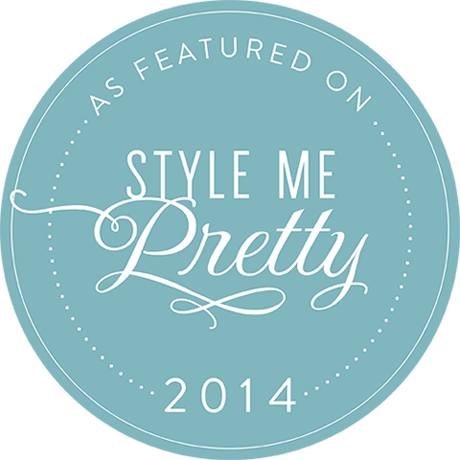 You can view the Style Me Pretty feature here. Sherri came to me to create reception stationery for a multi-day celebration including their western wedding reception, which was held in one of my favorite venues, an art gallery. The talented Buffy Goodman captured this unique wedding and you can see the full post on her blog. Below are some of the stationery pieces we created including a custom hardcover guest book, entrance banners, signage and favor tags.